Money has always been important to us. Ever since using paper money and coins became the standard way to acquire goods, we have all needed it to live. While money is still just as vital for being able to live now, our relationship with it has changed greatly in recent times. Where once cash was literally king, we now have many new ways to interact with our money that does not involve carrying a wallet full of notes. What is behind these changing attitudes towards money? The simple answer is advances in technology. The defining moment was the creation of the internet and its development over time to be central to all our lives. The whole world is now connected by the internet, which has allowed for new ways of managing your money and paying for stuff to evolve. As well as the internet itself, you have the many innovative platforms that use it to give even more choice in how we interact with our money. Online banking – the first UK internet banking service was offered by Royal Bank of Scotland in June 1997. Since then, this has become the major way that we bank and keep track of our money. Offering much more flexibility and convenience than going into your local branch personally, it made it simple to keep tabs on your bank account wherever you were. Who can even remember having to visit your bank in person to send money to someone else or set up a direct debit?! Debit cards – where would we all be without these little bits of plastic to buy things? From getting a round of drinks in at the local pub to shopping online for clothes, paying with a debit card has quickly replaced using actual cash to do so. As with online banking, it is the sheer convenience that makes it so popular. Rather than having to go and get money out of an ATM if you discover that you need some, you can simply whip out the debit card that you always have on you. Paying via your mobile phone – a recent innovation in our relationship with money has been using your smartphone to pay for things. In effect, it is an update on using your debit card. Popular services such as Apple Pay allow you to pay for goods quickly with merely a swipe of your mobile phone! Cryptocurrency – many people will have heard of cryptocurrencies and the most famous type, Bitcoin. Cryptocurrency is a whole sector though with many other digital currencies included, such as Ethereum. They are becoming an increasingly popular form of payment and represent the next evolution in terms of our relationship with money. 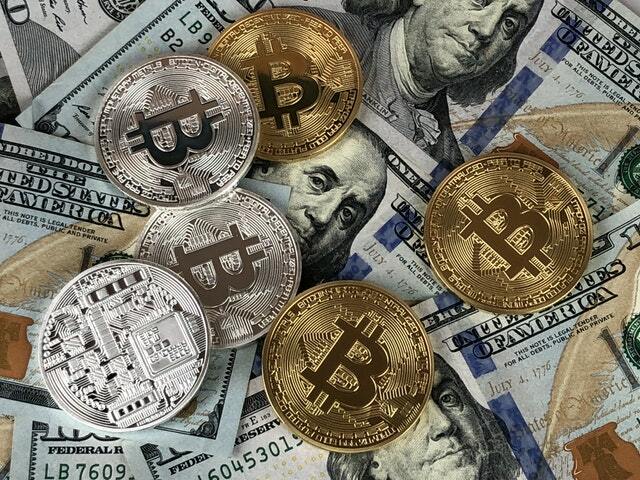 Rather than simply linking a card or phone to the standard money in your bank account, cryptocurrency is actually a new form of currency altogether that you can use. They are mined in the form of tokens or coins, which you can then use to purchase goods or services at businesses that accept them. Online money transfers – there was a time when sending money abroad meant stuffing it in an envelope and hoping it got there okay! This is another area that has seen massive change though in terms of our relationship with it. In the modern day, you can transfer money overseas online, which is much safer and faster. This is made possible by the internet and the many professional money broker platforms that use it to offer their services. To send money overseas now, you simply find the broker giving the best rates and whizz the payment off online with a few simple clicks. We can see that our relationship with money has evolved massively over recent years. What is exciting is thinking about how technology can help it move forward again. There is no doubt that it is technology that has made it easier and more flexible to use our money, so it will be tech that powers it into a new age once more. With cryptocurrency and mobile phone payments already here, where money goes next will be very interesting. Technology has definitely changed the way we look at lot of things. One of them being money. With technology it has become increasingly easy to deal with finance. It has become more convenient and time saving. And with crytocurrency emerging as a major player, only time will tell where it will lead to.